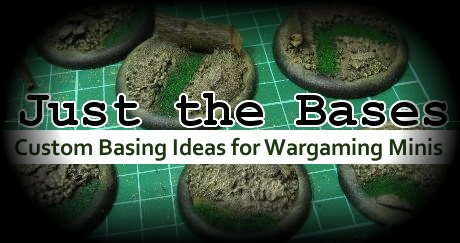 When working with 25mm bases, there is not much to do with them, considering their small size, and the way most models connect to them, effectively taking 30% of the surface, or even more. For this squad of Space Wolves I decided to make simple rough terrain covered with snow. The first and most important part is to make raised for the minis, so they dont look like they are sinking into the ground. And glue it to the base. Remove the model, remove the blu-tack, and you have your base with the raiser.